As Part of national efforts to improve the diagnosis of tuberculosis (TB), the Minister of Health, Prof. Isaac Adewole said that the Federal Government plans to deploy GeneXpert machines in 774 local government council areas across the federation. Adewole disclosed this plan at the Public Private Mix (PPM) Summit for Tuberculosis (TB) Control in Nigeria, which took place in Lagos recently. According to Adewole, a total of 391 GeneXpert machines have so far been installed at 310 sites across the country for this purpose of improving the diagnosis of TB and to make the diagnosis rapid. However, to ensure universal access to TB diagnosis, the Federal Government targets to have at least one machine per LGC area across the federation. The GeneXpert diagnostic technology is a a diagnostic tool that has high sensitivity in diagnosing TB. TB is an infectious disease usually caused by bacterium Mycobacterium (MTB). 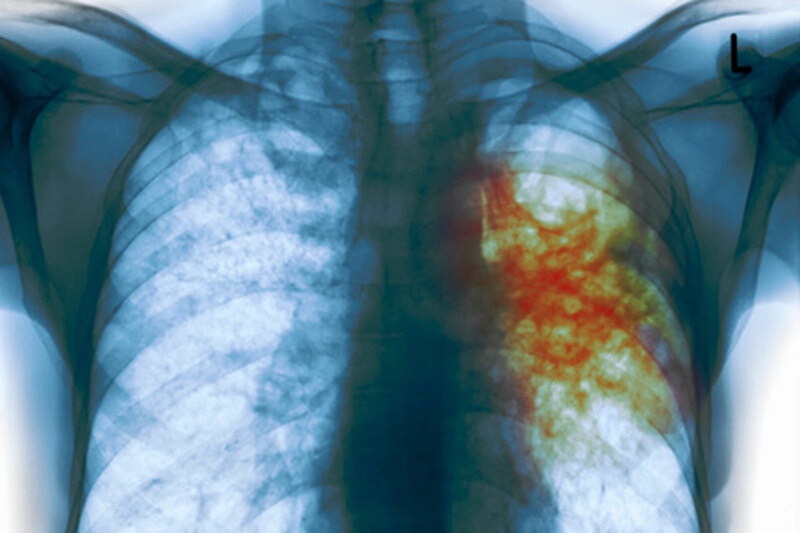 TB generally affects the lungs, but can also affect other parts of the body. Most TB infections do not have symptoms, in which case it is known as latent TB. About 10 per cent of latent infections progress to active disease which, if left untreated kills about half of those infected. The classic symptoms of active TB are a chronic cough with blood-containing sputum, fever, night sweats and weight loss. The PPM summit was organised by the Federal Ministry of Health (FMOH) in collaboration with the World Health Organisation (WHO), Stop TB Partnership Nigeria and the Tuberculosis Control Programme in Lagos State. Giving the background to some of the challenges in tackling TB, it was said that inadequate Gene Expert machines meant for the diagnosis of the killer disease remains a huge challenge to curbing the high prevalence of TB in communities. However, bringing the Gene Expert machine closer to various communities would therefore remove the hindrance obstructing rapid diagnosis of the medical condition. Nigeria has the 2nd highest burden of TB in Africa.Nigeria has a country is among the 14th countries considered by the WHO as being high burden not only for Tb, but also for TB/HIV and multi-drug resistance ( MDR-TB). Country Representative of the WHO in Nigeria, Dr. Wondimagegnehu Alemu who was represented by Dr. Lynda Ozor, said expanding quality TB diagnostic coverage nationwide was necessary as a measure to stop the spread of new TB infections. He also called for the optimisation of the existing Gene EXpert diagnostic machine (390). According to him, involving the private sector in tackling TB would ensure that the vision of reaching more Nigerians that were affected by TB and those at risk of infection, could be reached this 2018 and beyond.